Some folks might say King For A Day, Fool For A Lifetime is a better album than 1992’s Angel Dust. I wouldn’t argue with them. I don’t argue about music – I fight. Fistfights, bar brawls, gang related drive by’s. I shot a man once in a dispute over the merits of a Dave Mason solo LP. And don’t get me started on the best EPMD album (Business As Usual) – the last guy who did that ended up bludgeoned beyond recognition. But as much as I love Angel Dust, and as much as I love to violently fight about music, I might be willing to concede that this is the overall better album. Maybe. 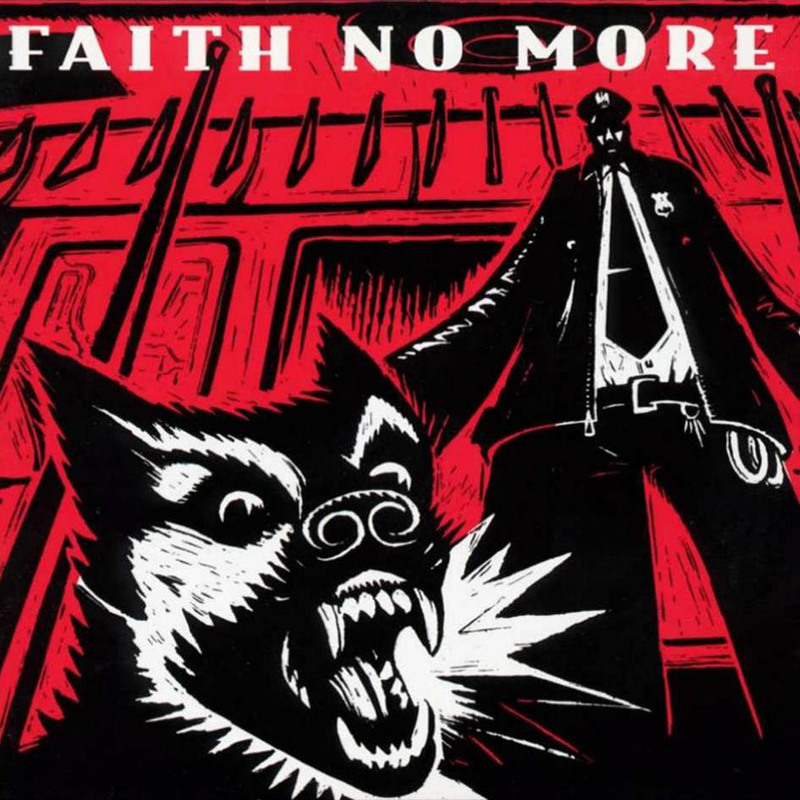 I remember buying the double LP version because it came out a few weeks before the CD and I just couldn’t wait for some new Faith No More. It took a few listens to get into this thing – because again, it’s not an easy album to quickly digest and there are lots of new stylistic twists and turns. But that’s good. And this album is really good, even more adventurous than the previous one. Things have changed again. Guitarist Jim Martin is gone. (Well, not gone gone, he just left the band – sorry to scare the Jim Martin fans out there.) I like Jim Martin, the crazy hair and glasses, the crunchy sound. But the problem was that his style was firmly rooted in eighties metal. Thrashy, speedy, even slightly thin in its way. Not the worst thing in the world, but Faith No More were getting more eclectic as they moved away from the funk metal of their earlier incarnations toward a unique brand of arty, progressive rock. Angel Dust signaled the change but King For A Day completed that transformation, with Trey Spruance of Mr Bungle replacing Martin and bringing a more adventurous sonic palette to the mix. I couldn’t imagine Martin offering the jazzy textures of tracks like “Evidence” or the wah-wah funk of “Star AD.” Spruance has even expanded his own already diverse style from his early Mr Bungle work, toning down and branching out toward a leaner, more exotic sound. Let’s talk about “Star AD.” It’s about Christianity: “A little joke that’s understood/It’s all over the world.” It’s part funk, part lounge metal, complete with horn section, Zappa-like jazz breakdowns, and a massed worker chantalong – “We walk forever/We walk forever.” Clearly, this track is most closely hewn to the schizophrenic Mr Bungle style, as Mike Patton delivers a wildly expressive performance of the demented lounge singer. We may imagine some bedazzled post-apocalyptic Vegas band blasting out a crazy little tune about a crazy little religion that the folks used to believe in way back in the day. Yeah, Faith No More are awesome. Have we established that? The title track is another masterpiece, a cinematic journey of the downward spiral of addiction. The mix is very dynamic, with the acoustic and piano sections alternating with the explosive crash of the chorus. The music reflects the tragic journey of Patton’s narrator, who goes strutting arrogantly into a party (“It is not a good day if you are not looking good”) and experiments with a sniff or two of something exotic (“Look everything’s spinning – we’re on the ground.”) Drummer Mike “Puffy” Bordin propels the narrative as well, pounding the band through an octave riffing breakdown before everything falls apart and we come out tragically on the other side. The music slows down with the returning acoustic and piano theme, this time taking on a slower, darker tone as Patton repeats a haunting refrain to the fade out: “Don’t let me die with that silly look in my eyes.” We can imagine the camera panning up from a lifeless body on a bathroom floor, an empty martini glass fallen from his hand. A very epic, visual sort of song, one of their best. Elsewhere: “Last To Know” has some great singalong crooning, the sort I like to sing in the car with the windows rolled down, and then that clever bridge with a riff that sounds like something from Sabbath’s Master Of Reality. “The Gentle Art Of Making Enemies” introduces a new Patton character – guy with weird accent who sings kinda goofy. Well, maybe that’s not a new character, but it’s a fun track. “Take This Bottle” is a semi-parody of an anthemic rock ballad, or at least it sounds like a parody in among all the stylistic changes and flaky aesthetics of this album – it reminds me of Gwar’s “The Road Behind,” if not quite as comedically broad. “Just A Man” is another sort of parody, with a rock reggae verse building to a rousing gospel chorus, with a string accompaniment and a spoken word breakdown. “Caralho Voador” is an exotic, ethereal track with spare percussion, organ breaks, and Patton’s whispered Spanish vocals. It’s emblematic of the experimentation going on here, the way this band is veering off into strange territories, brilliantly pulling off every stylistic pastiche.